We have the experience and knowledge to advise you on all aspects of your heating and plumbing requirements. More importantly than the number of radiators within a household, is the size of the cubic area you are trying to heat. This is where an expert opinion is needed as it is mathematically decided on which boiler you may need for the cubic area you are heating. Another factor in the choice of boilers surrounds the mains flow rate in your home. In conventional or system boilers, the water comes from a hot water cylinder but with the modern Combi boiler, the flow rate of the water into the property from the mains has a big impact on how the boiler works. You need to be certain that the boiler is big enough to cope with the amount of water passing through that requires heating. One easy way to find out about your mains flow rate is to take a bucket with a measurement on it. Run cold water from one tap for one minute and see how much water you collect. The more water, the faster the flow rate. Most boilers will have a maximum flow of water in litres per minute that is stipulated on the paperwork. How much hot water you use can be another area to consider. For example, combi boilers are generally not recommended for homes with two or more bathrooms as they can struggle to heat enough water to meet demands. Or if you have lots of showers and use a lot of water, then this might affect the size and type of boiler installed. There are lots of considerations that come into the choice of buying a new boiler and that’s why most people use a local boiler installation expert to do the job. 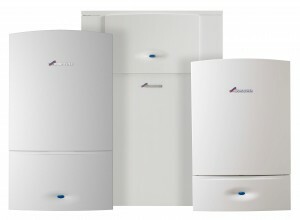 To really decide the size of boiler needed, you’ll require an expert, such as the heating engineers at DHS. We don’t want to make false promises which is why we always visit the property and assess the situation before deciding what size boiler will be required. If you’re looking for a boiler installation expert in Bristol, then get in touch with DHS. Call DHS today on 0117 924 7200, email us, or request a call back. Should you fix a broken boiler yourself? Is there a problem with your boiler's diverter valve? Does your boiler need a MagnaClean?